If you’re shopping online in the next couple of weeks, you can get sweepstakes entries in addition to your usual miles per $1 spent! Through September 14, 2018, you can enter to win 100,000 United Airlines miles and a $2,500 cash prize by shopping through their online portal. Here’s Your Chance to Win 100,000 United Airlines Miles + $2,500 as a Grand Prize. Entries Are on Top of Your Usual Mileage Earnings! I’ll share all the details! 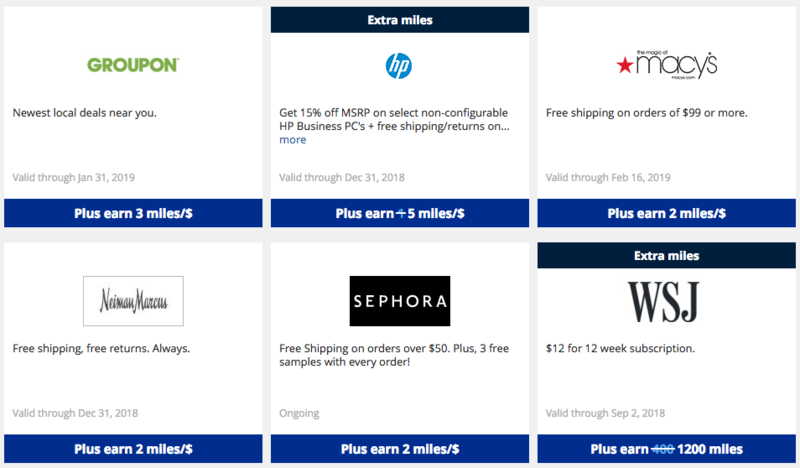 Through September 14, 2018, United Airlines is running a promotion to win a LOT of United Airlines miles when you shop online. But first, you must register! The grand prize is 100,000 United Airlines miles and $2,500 cash. They’ll also award 3 prizes of 20,000 United Airlines miles. The grand prize would easily be enough for a couple of award flights to nearly anywhere in the world (in coach, anyway)! I always recommend shopping online through a portal. Keep in mind, you’ll earn the usual rate of United Airlines miles when you shop, which varies by merchant – sweepstakes entries are on top of that. And while entering a sweepstakes is cool, always check that you’re earning the most miles or rebates for your online purchases! That said, you get an entry just for registering, so that’s a total freebie. Plus, ya never know – somebody’s gotta win, after all! 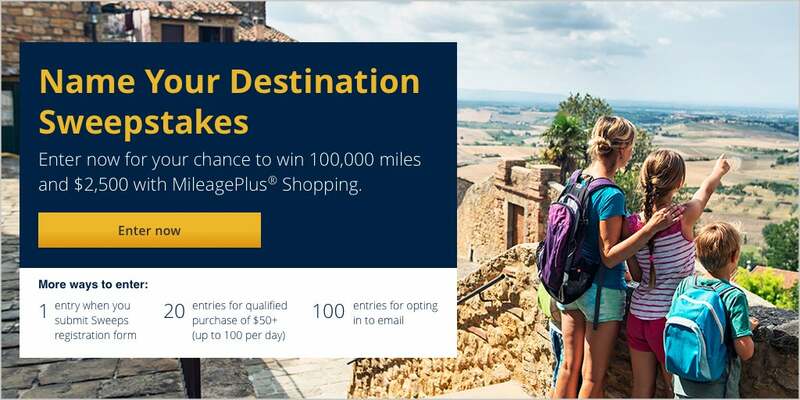 United Airlines is offering a chance to win either 100,000 United Airlines miles and $2,500 cash or 1 of 3 prizes of 20,000 United Airlines miles through their shopping portal. You must register to win. And you can earn extra entries for spending $50+ online, installing their browser extension, and opting into their email list. This is a nice promotion on top of the miles you’d normally earn. Just be sure you’re getting the best rebate for your online shopping. You can enter when you shop through September 14, 2018 – so fire up your mouse and start clicking!